Meadow was found in a large field next to a residence in Ellsworth, Wisconsin, unable to fly. She was given a complete physical exam at The Raptor Center’s clinic, revealing that she suffered from lesions on both her retinas consistent with West Nile virus. 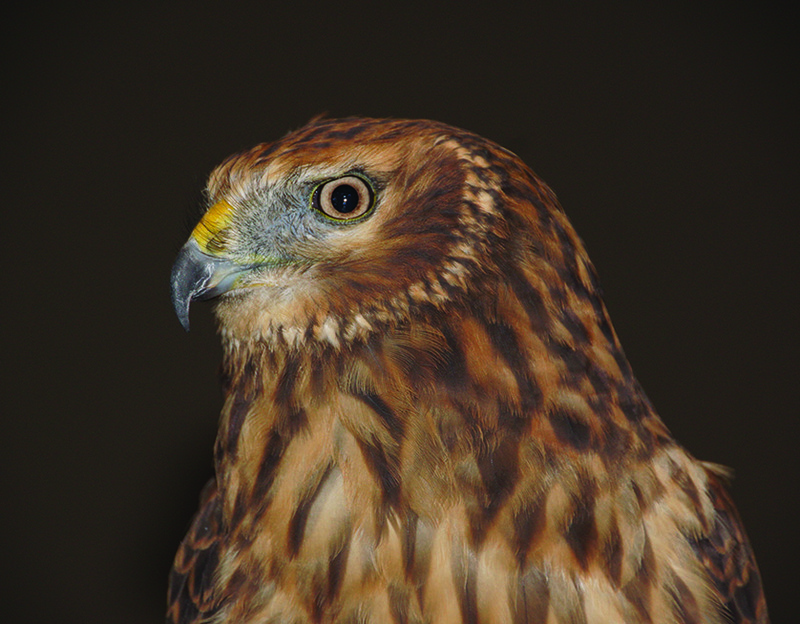 In hawk species, this virus often “attacks” the retinas, leaving the birds with compromised vision or complete blindness. In Meadow’s case, she retained vision in her left eye, but is blind in her right eye. Northern harriers are ground nesters; they make their nests in tall grasses of open habitats such as prairies or grasslands. They are an uncommon patient in The Raptor Center's clinic.